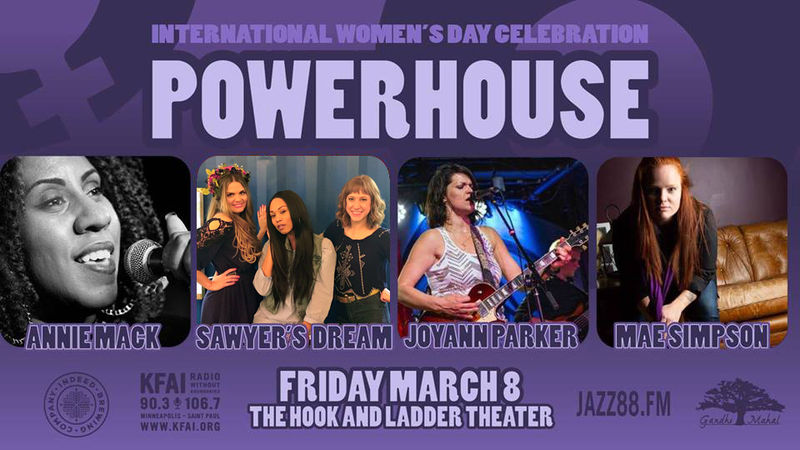 Sawyer’s Dream was proud to have performed at The Hook and Ladder Theater & Lounge in Minneapolis on March 8th, 2019 as part of an International Women’s Day Celebration Concert along with Joyann Parker, Annie Mack, Mae Simpson, and Maya Elena. The event was sponsored by KFAI 90.3 FM Radio, KBEM Radio, Indeed Brewing Company, & Gandhi Mahal Restaurant. Thank you to Bri Becker for organizing this amazing event, and thanks to the wonderful audience who came out to support all the artists. We appreciate you! Here’s a short clip of our performance.